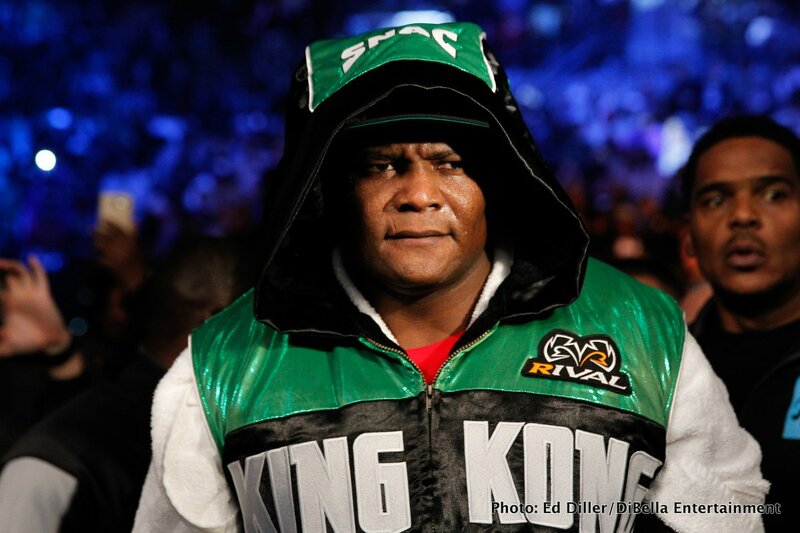 Cuban danger man Luis Ortiz knows firsthand how hard reinging WBC heavyweight king Deontay Wilder can punch, with either hand, and the southpaw who is set to return to action against Ravzan Cojanu later this month believes the power that stopped him would also prove too much for Anthony Joshua. Only Ortiz feels Wilder would get Joshua out of there far quicker than he stopped him. As fans know Wilder, in overcoming a rough patch, halted Ortiz in the tenth-round of an at times thrilling battle back in March. Now, in predicting the outcome of the fight we all want to see (but will not get to see until next year at the earliest) Ortiz told Premiere Boxing Chanel how Wilder would KO the WBA/WBO/IBF heavyweight champion inside just three-rounds. Along with praising Wilder’s brutal punching power, Ortiz also paid tribute to Wilder’s chin. Wilder has a far better chin than Joshua, the 39 year old said. This chin, along with Wilder’s power, make an AJ win all but impossible according to Ortiz. “WIlder will be all over him,” Ortiz said. Ortiz also brought up the Joshua-Wladimir Klitschko fight and stated how a younger Klitschko would definitely have finished Joshua off when he dropped him and had him in big trouble the way he did in April of 2017. “Wilder will not forget that fight,” Ortiz said. There is no doubt Joshua was in dire trouble in those middle rounds against the 41 year old Klitschko, yet the older man let him off the hook (big brother Vitali, who worked his brother’s corner that night, later blamed himself for advising Wladimir to not rush things and pace himself). Ortiz, along with a good number of other people, thinks Wilder, a vicious finisher, would never allow a wounded and hurt foe to escape. But will we ever get to see the unification fight between Wilder and Joshua? Ortiz is like the rest of us: he wants to see this one go down and badly.